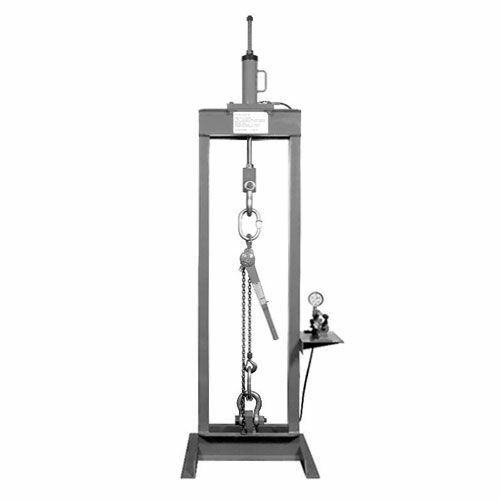 The value-priced CM hoist test stand is specially designed for the testing of hoisting equipment as required by the applicable sections of ASME Code B30.16. Unlike other test stands on the market that weigh thousands of pounds, the CM test stand weighs only 496 lbs. Portability for on-site testing becomes more practical. Fewer wearing parts provide superior performance. * Please view product specification sheet for full technical data and dimensions. 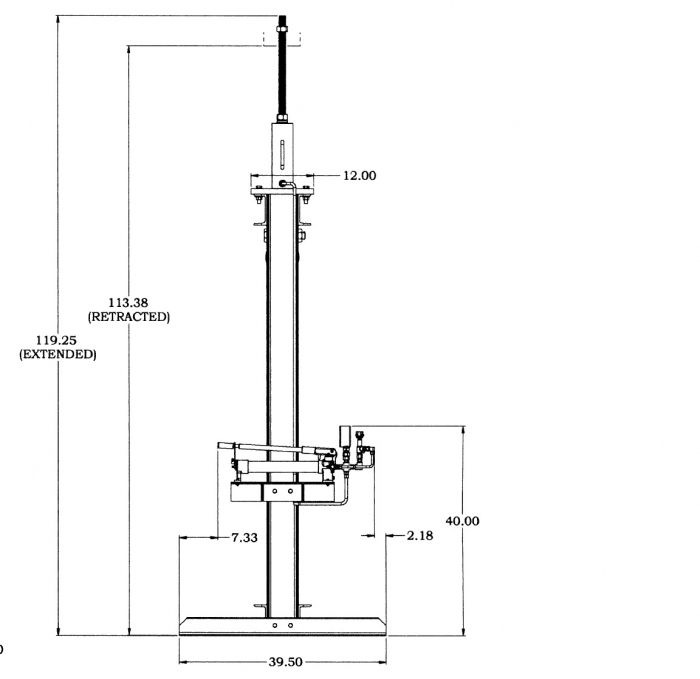 What is the total height of test stand? It measures approximately 119.25" when fully extended. See attachment.